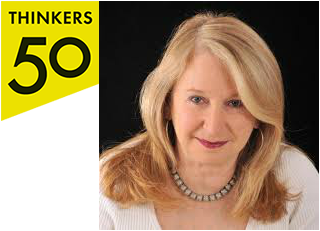 ​Ranked among the “Top 50 Business Thinkers" by Forbes Magazine, Barbara Kellerman is an acknowledged expert in leadership, management and women's issues. She is currently James MacGregor Burns Lecturer in Public Leadership at Harvard University's John F. Kennedy School of Government. ​Barbara Kellerman is the James MacGregor Burns Lecturer in Public Leadership at Harvard University’s John F. Kennedy School of Government. She was the Founding Executive Director of the Harvard Kennedy School’s Center for Public Leadership, from 2000 to 2003; and from 2003 to 2006 she served as Research Director. Kellerman has also held professorships at Fordham, Tufts, Fairleigh Dickinson, George Washington, Uppsala, and Dartmouth/Tuck. She also served as Dean of Graduate Studies and Research at Fairleigh Dickinson, and as Director of the Center for the Advanced Study of Leadership at the University of Maryland. Kellerman received her B.A. from Sarah Lawrence College, and her M.A. (in Russian and East European Studies), M.Phil., and Ph.D. (1975, in Political Science) degrees from Yale University. She was awarded a Danforth Fellowship and three Fulbright fellowships. At Uppsala (1996-97), she held the Fulbright Chair in American Studies. 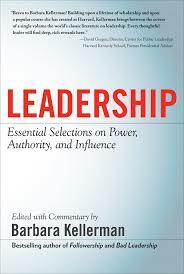 Kellerman was cofounder of the International Leadership Association (ILA), and is author and editor of many books including Leadership: Multidisciplinary Perspectives; The Political Presidency: Practice of Leadership; Bad Leadership; Followership; Women and Leadership (co-edited with Deborah Rhode); Essential Selections on Power, Authority, and Influence; and The End of Leadership. The End of Leadership was long listed by the Financial Times as among the Best Business Books, and selected by Choice as “essential” reading, its highest rating. It was also named by Choice as an “Outstanding Academic Title.” She has appeared often on media outlets such as CBS, NBC, PBS, CNN, NPR, Reuters and BBC, and has contributed articles and reviews to The New York Times, The Washington Post, The Boston Globe, the Los Angeles Times, and the Harvard Business Review. Kellerman speaks to audiences all over the world, including, in recent years, Berlin, London, Moscow, Rome, Sao Paolo, Shanghai, Zurich, St. Gallen, Jerusalem, Turin, Toronto, Montreal, Mumbai, New Dehli, Amsterdam and Kyoto. She serves, among other places, on the Advisory Board of Leadership, on the Publications Committee of the International Leadership Association, and on the Advisory Board of the Brookings Institution Leadership Initiative. She was ranked by Forbes.com as among “Top 50 Business Thinkers” and by Leadership Excellence in top 15 of “thought leaders in management and leadership” (2008-09 and again in 2010-2011). In 2010 she was given the Wilbur M. McFeeley award by the National Management Association for her pioneering work on leadership and followership. And in 2014 she was ranked by Global Gurus 13th in the “World’s Top 30 Management Professionals.” Her next book, Hard Times: Leadership in America, will be published by Stanford University Press. Becoming a leader has become a mantra. The explosive growth of the "leadership industry" is based on the belief that leading is a path to power and money, a medium for achievement, and a mechanism for creating change. But there are other, parallel, truths: that leaders of every stripe are in disrepute; that the tireless and often superficial teaching of leadership has brought us no closer to nirvana; and that followers nearly everywhere have become, on the one hand, disappointed and disillusioned and, on the other, entitled and emboldened. 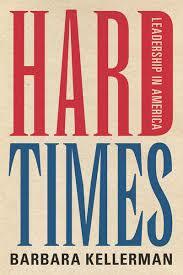 Kellerman critically reexamines our most strongly-held assumptions about the role of leadership in driving success. Revealing which of our beliefs have become dangerously out-of-date, thanks to advances in social media culture, she also calls into question the value of the so-called "leadership industry" itself. 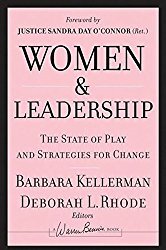 Barbara Kellerman departs from the leader-centric approach that dominates our thinking about leadership and management. She argues that, over time, followers have played increasingly vital roles. For two key reasons, this trend is accelerating. Followers are becoming more important, and leaders less. 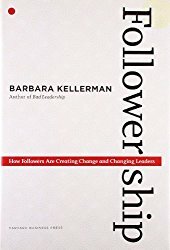 Through gripping stories about a range of people and places—from multinational corporations such as Merck, to Nazi Germany, to the American military after 9/11—Kellerman makes key distinctions among five different types of followers: Isolates, Bystanders, Participants, Activists, and Diehards. And she explains how they relate not only to their leaders but also to each other. Thanks to Followership, we can finally appreciate the ways in which those with relatively fewer sources of power, authority, and influence are consequential. Moreover, they are getting bolder and more strategic. To fixate on leaders at the expense of followers is to do so at our peril. The latter are every bit as important as the former, which makes this presentation required listening for superiors and subordinates alike.